Temple’s AIS Student Chapter wins 1st again – for 4th consecutive year! Temple’s AIS Student Chapter won big again at the Sixth Annual AIS Student Leadership Conference and Competition receiving first and second place. 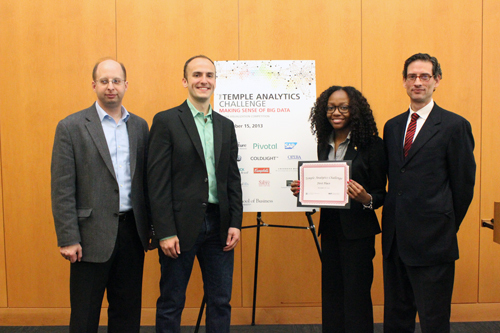 These victories mark four straight years of Temple’s clinching a first-place at the AIS conference – further affirming a remarkable year for the chapter, which was recently named Distinguished Chapter by the Association for Information Systems (AIS). Held over April 9-11, 2015, in Tuscaloosa, Alabama, and hosted by the University of Alabama, the AIS conference hosted about 300 participants from schools around the globe, whose student teams had the opportunity to enter into various competition tracks. Fox MIS students competed in the IS that serves society track. A city-wide network of kiosks that would provide essential information for the homeless population of Phila. It is a very simple interface to allow people with varying levels of literacy and technical ability to be able to access vital information on housing, food, medical services, emergency housing, job training, and counseling. Designed to create transparency between Law Enforcement and Society. Incorporates Google Glass to live stream video and data to the dispatcher, while storing the information in a Cloud database. A real-time “second set of eyes” promotes greater safety and informed decision making for police officers in the field, and will significantly enhance both officer accountability and evidence gathering. Congratulations to the Temple champions! The new Master of Science – Digital Innovation in Marketing is a new type of 100% online degree that prepares digital marketing leaders and innovators. The program prepares students on how to apply exciting new technologies and measure with sophisticated analytics. The next generation online approach focuses on high engagement, networking, and professional development. The program is designed for working professionals who want to learn part-time. Collect, analyze, and interpret digital marketing data to inform decision-making. 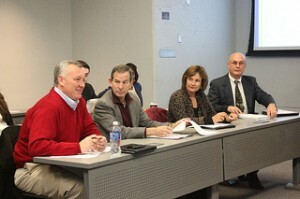 A team of nationally recognized digital marketing innovators will guide the program and students. If you are ready for the revolution, click here. An MIS degree from the Fox School of Business reflects far more than hours spent in the classroom. Beyond the program’s top-ranked courses are extensive and required opportunities for students to gain professional and academic experience, including scholarships, internships, career advancement, and friendly competition with peers. Three students have seized these opportunities — Tyler Nelson, Elizabeth Calise, and Horatio Thomas – each taking full advantage of what the MIS program has to offer, and exemplifying Temple’s ongoing commitment to excellence. Beginning this Fall of 2014, the Fox IT Advisory Board launched a new scholarship program that awards $50,000 annually to standout students. 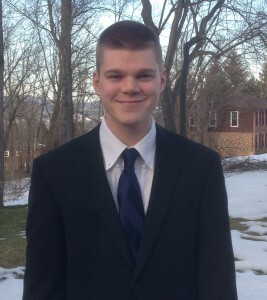 Among the first roster of recipients was Tyler Nelson, Class of 2016, who was delighted to be selected. “I felt accomplished knowing that I was being recognized for my academic work,” he said. Beyond this exciting new scholarship, there are many other ways in which an MIS student can distinguish him or herself. Year-round, all those enrolled in the program can earn Professional and Academic Achievement Points. These points are tallied then translated to online public rankings – ultimately eligible to be redeemed for Temple merchandise at an online “Points Store.” The result is a spirited, fun exchange that helps foster incredible student achievement. 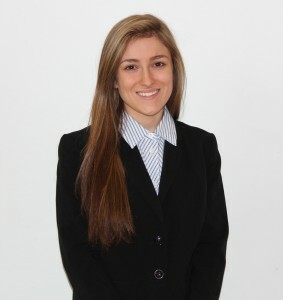 Elizabeth Calise is among the Leaderboard’s top Academic students, while Horatio Thomas is a “Grand Master” on the Professional Achievement scale – the highest possible ranking. 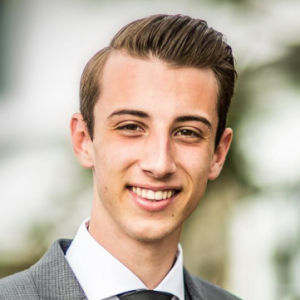 Horatio Thomas, currently a Grand Master (meaning, he has earned over 2,000 points) is an MIS and Accounting double major. 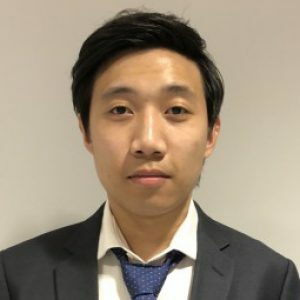 A glance at his online portfolio helps explain his Grand Master status; he is the current President of the Association for Information Systems and spent this past summer interning in the Innovations Lab at the world’s largest company, Wal-Mart. Horatio credits his success to the overwhelming support of his professors, faculty, AIS officers, and friends at Temple. These three students’ stories are emblematic of what the Fox MIS program has to offer. And for every Tyler, Elizabeth, and Horatio are dozens of other students who are similarly striving for academic and professional excellence. The Institute for Business and Information Technology (IBIT) announces the Fox IT Career Fair on September 24, 2014 (Wednesday) from 11am-3pm in Alter Hall. Interact with top employers who are interested in recruiting Fox MIS, ITACS, ITM, Digital Marketing, and ITIE students (majors and minors, grad and undergrad). Twenty employers including Merck, Campbell Soup Company, Lockheed Martin, Walmart, Electronic Ink, LiquidHub, Wells Fargo, GlaxoSmithKline, Cigna, PwC, Vanguard, and Deloitte have already confirmed their participation to recruit for full-time and internship positions. 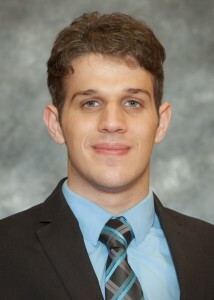 See: http://ibit.temple.edu/careerfair. Completed registration on http://ibit.temple.edu/careerfair/about/attendance-and-registration/. The deadline is September 12, 2014. In order to have an approved eportfolio you must submit it to the above site for approval. Each student that registers by the deadline will receive free special business cards to hand out to employers at the Fox IT Career Fair. These business cards will list your name, major, email address and will have a QR code so that the employer can scan to access your eportfolio. Only these special business cards are allowed at the career fair. The Association for Information Systems (AIS) has named Temple AIS Chapter of the Year, the highest honor any student chapter can receive. And it’s not just for the glory, either: with this distinction comes $1,000 in grant money, allocated for 2013 student initiatives. Temple’s first place win follows three years of having been named runner-up as Outstanding Chapter, and reflects incredible dedication from its student members. A committee of faculty and students oversaw this year’s rigorous selection process, poring over annual reports to find the chapter with the most “exceptional, well-rounded, and organized program,” notes AIS. We have continued our legacy of offering our members the best in professional development and networking opportunities. Each one of my twenty officers has been working like crazy to make sure we pull all of this off seamlessly. It is a pretty awesome group of students. We have the most intelligent and creative students in the Fox School. Founded in 1994, AIS is the world’s premier organization for academics specializing in Information Systems. 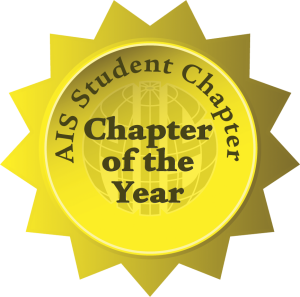 The Chapter of the Year recipient must “lead the research, teaching, practice, and study of information systems worldwide,” says the organization. As its 2013 title indicates, Temple AIS set benchmarks for other chapters, fostering an environment in which its members could thrive in the field of IS and as a cohesive community. 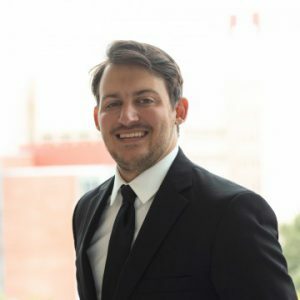 Chapter President Joshua Wise attributes much of his chapter’s success to the group’s unique personality and culture of “entrepreneurial spirit” — comprising a buoyant blend of teamwork, fun, and (friendly) competition. “We like to challenge each other and find new ways of doing things,” notes Wise. Fox BBA in MIS students produced nine capstone projects in fall 2013. Under the guidance of industry mentors, the students designed and presented their creations for review to the Fox IT Advisory Board, an illustrious committee comprised of entrepreneurs and business leaders. 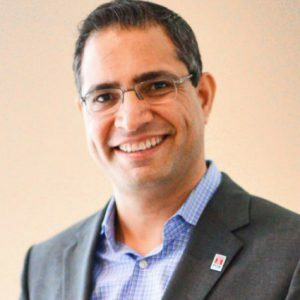 The roster of projects was particularly impressive this year, said professor and facilitator Munir Mandviwalla — a true testament to the quality of the BBA in MIS curriculum as well as the efficacy of each mentorship. After difficult deliberations, the board chose the project titled Groupstir as winner and recipient of an IBIT sponsored $500 prize. 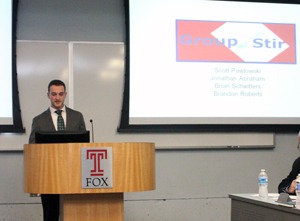 “Groupstir,” the brainchild of students Brian Schwitters, Jonathan Abraham, Brandon Roberts, and Scott Pawlowski and mentored by Joseph Spagnoletti of Campbell’s Soup, is a direct-to-consumer promotion platform designed specifically for restaurants, which enables businesses to increase volume during off-peak hours and create a social, engaged experience for its customers. Members of our group have worked in the restaurant industry, and we discussed various ways to increase customer volume during off-peak hours…We really enjoyed getting to work with our mentor Joe Spagnoletti, and it was most rewarding to witness his excitement of our vision. 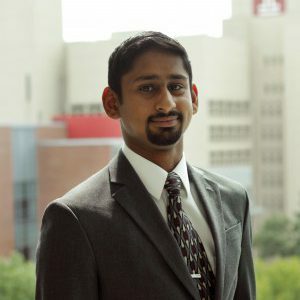 For the 2013 Spring semester members of the Fox School of Business IT Advisory Board volunteered as ‘mentors’ to student project teams in the MIS 4596 Information Systems Integration class. The mentors’ experience with the student project teams was so successful and enjoyable that there were many volunteers for [this] semester. After such a fruitful project collaboration this year, Fox MIS looks forward to what students can cook up in 2014! Below is a recap of the rest of the group projects, followed by a complete list of the mentors. A 3D Printing Service site that allows consumers to make personalized objects via a user-friendly interface. A time-saving app that displays the menus and availability of every food truck on campus. A flexible application tool that allows professors and students to manage tasks, optimize schedules, and submit documents. A smartphone-compatible project management application for architects that consolidates costs and manages their businesses. Caleb Harris, James Gitto, Eugene Kim, Andrew Nguyen, Christian Markel; Mentored by Craig Conway, Conway Technology Consulting Inc.
A computer program that analyzes body language, hand gestures, voice projection and more to evaluate, and improve the presentation abilities a company’s employees. 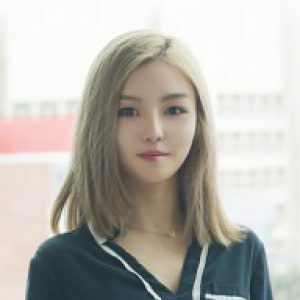 A peer-to-peer commerce network that allows students to offer various activities (or “quests”) that are securely reimbursed upon completion. A mobile security application for student and faculty that’s integrated with campus police and Blue Light systems. An application that works with Fresh Grocer to find students the best food deals that support healthy eating. See all the pictures of the event on Flickr, click here! The Institute for Business and Information Technology (IBIT) announces the Fox IT Career Fair on October 09, 2013, 11am-3pm, Alter Hall. Interact with top employers who are specifically interested in recruiting Fox MIS, ITACS, ITM, Digital Marketing, and ITIE students (majors and minors, grad and undergrad). Merck, Lockheed Martin, AstraZeneca, Cigna, Dow, and QVC are attending as well as many others to recruit for full-time and internship positions. 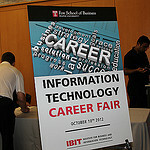 See http://ibit.temple.edu/careerfair for a complete list of employers. These employers are coming because they have made a commitment to your program and major, and to the Fox Department of Management Information Systems. Completed registration on http://ibit.temple.edu/careerfair/about/attendance-and-registration/. The deadline is October 2, 2013. In order to have an approved eportfolio you must submit it to the above site for approval. Please be sure to read all of the points on the samples and resources page before submitting your eportfolio. Each student that registers by the deadline will receive free special business cards to hand out to employers at the Fox IT Career Fair. These business cards will list your name, major, email address and will have a QR code to scan and easily access your eportfolio.